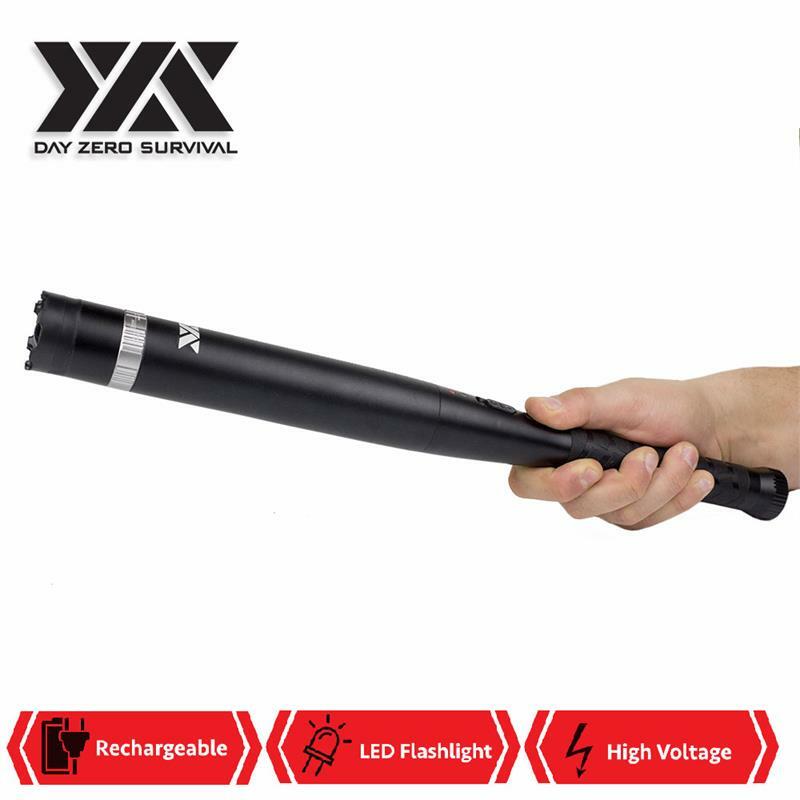 Day Zero Survival Aluminum Bat Stun Gun With Flash Light For Self Defense. 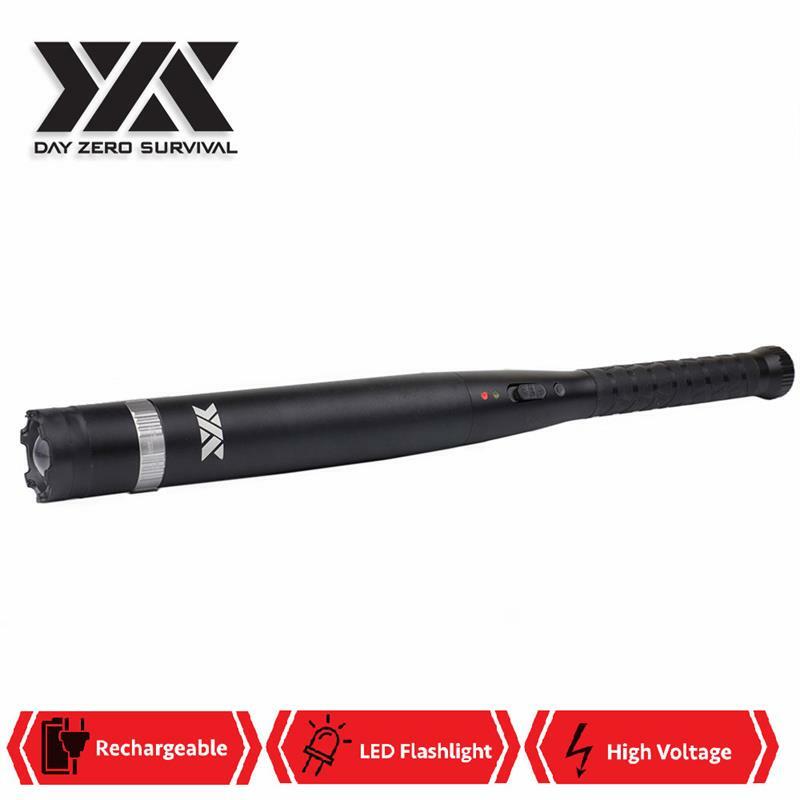 One of the most Powerful stun gun flashlights in the market, convenient LED super bright flashlight! 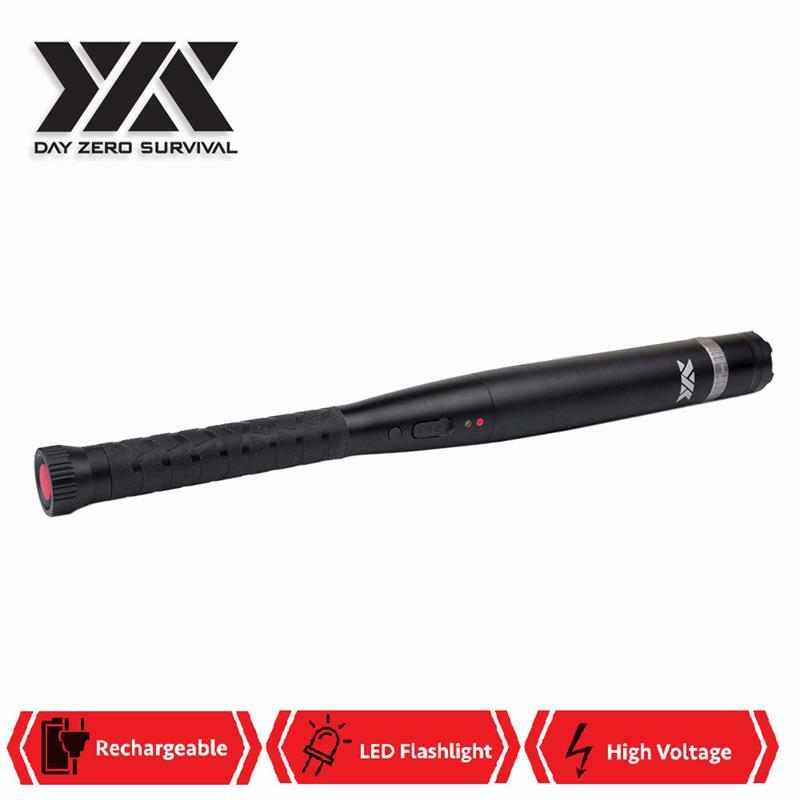 This flashlight stun gun comes with an interior rechargeable mechanism with removable batteries. Our new shark teeth prongs technology so powerful that it can easy deter any attacker and sure to bring them to knees and can collect DNA for police use and evidence. Powerful 380 lumens bright tactical flashlight with Maximum, Medium, Low, SOS, and Strobe modes. When the situation does not require maximum light strength, the other two settings can be used to extend battery life. The strobe light mode can momentarily blind an attacker and the SOS can signal for help in an emergency.  Anti rolling aluminum body with rubber grip. 17.25" overall length. Powerful Stun Gun: State of the Art power to incapacitate an enemy.